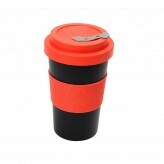 Enjoy your favourite morning coffee with the heat resistant and versatile BamBroo mug. 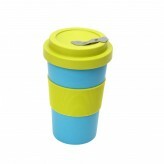 In a fun, new design, this drinks mug is made from natural bamboo and is dishwasher safe for convenient cleaning. 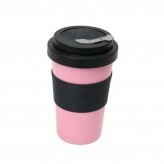 Ideal for carrying your morning coffee or your soup for lunch, this BamBroo mug is 400ml in size and comes with a safe grip band. 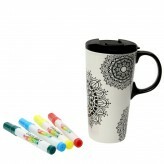 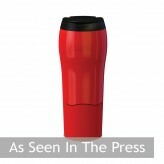 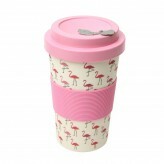 Keeping your hands protected from the hot surface of the mug, this mug has a spill stopper and a straw hole. 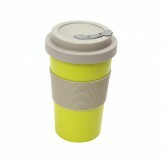 The lid of this BamBroo mug is screw top for safe applying and promises spill free carrying when the mug is full with your hot morning latte. 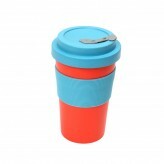 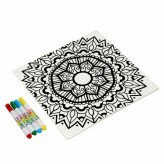 Make a change and reduce your carbon footprint with our trendy Geometric BamBroo mug.